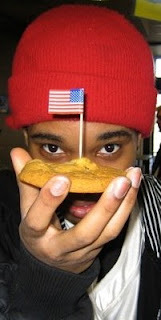 ShawnCuthill.com: Wednesday prayer requests - Cookie coming for the summer!! Wednesday prayer requests - Cookie coming for the summer!! You may remember Cookie (video below) from our Bridlegrove days. Well this summer Cookie is coming to live and work with us! We are thrilled to be able to continue the mentoring process as Cookie finishes up high school. Cookie will be a summer intern, which will be a summer job for him, and we hope to pay him something as he works with me. Please consider sending financial support (to Leaside Bible Chapel) so that we will have the funds to pay him something. Most importantly remember him in prayer as he prepares for his future, that God would continue to mold him into a fine young man!